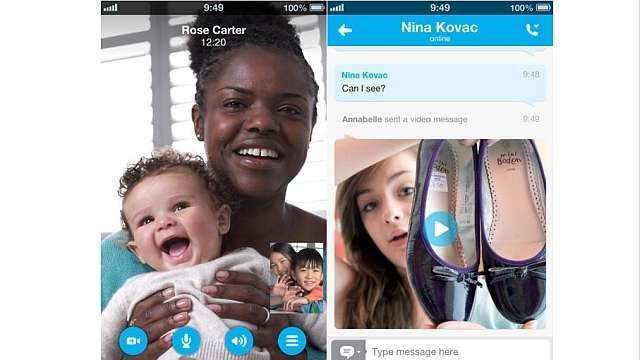 Skype yesterday bumped up its version for iOS to 4.10 from 4.09 and the new version lets you make HD (720p) quality video calls on Skype on your iOS device. ✓ Audio and video call quality and stability improvements. ✓ Make HD (720p) quality video calls from your iPhone 5 or iPad 4 (iOS devices with Retina display). ✓ A new, easier to use country code selector on the dialpad. ✓ Stability improvements for users of iOS 7 beta. We realize that some of you are using iOS 7 beta and have been experiencing some instability with Skype – this release fixes some of the major issues you were facing. We hope you find this update a significant improvement, and we will offer full iOS 7 support when it’s officially released. ✓ General fixes and improvements. Once you download the updated Skype you will notice a vast change in the Video (thanks to the 720p HD uplink) and audio quality. You can download the updated Skype for iOS devices from Apple Store here.